I designed FPV my ground station for portability yet still stable enough to carry all the required gear including the antenna tracker. Since i only fly FPV on 5.8 GHz i had to make sure it suits my needs for long-rage fixed wing flying as well as proximity flying with my multi copters . Even though i record all my flights using the on board high definition camera i also wanted to record the live feed as i fly, this to save the GPS coordinates for recovery if/when needed. I also share the base station with friends who doesn’t use the Range video OSD so it was important to keep it possible for them to continue to rely on my base station to avoid unnecessary gear to be brought to our various flying sites. The monitor is a cheap one (actually blue screen) but its only used on ground to while programming the OSD or for 3rd party viewer. I do not recommend to use this monitor for FPV. But it does the work perfectly for what i need it to do. The video RX is a diversity receiver, its handles all four bands on the 5.8 GHz band and seems to work fine. It does however share the same heating issues as the RC 305. The switching is not 100% glitch free, but for the price it delivers good value and will not be replaced. 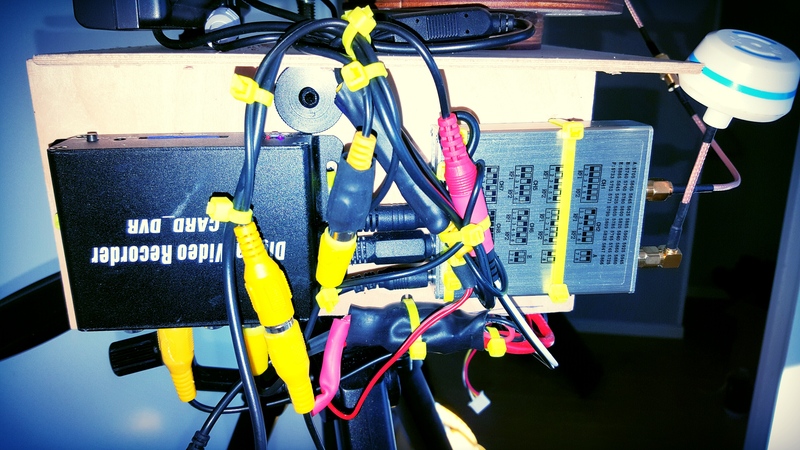 The DVR is a cheap and pretty bodge , it does record in VGA and can be configured via PC (text file). I use the motion detect function to start and stop recording, this seems to work just fine. The recordings are with some disturbance but since i only record the live feed to recovery purposes this doesn’t bother me at all, however i do not recommend this product. The circular polarized video RX antenna is a simple standard Chinese version. I have had very good performance out of these in the past and see no reason to replace them. The tripod is very stable and far exceeded my expectations, it extends my helical antenna well over 180cm, this tripod i can recommend to anyone interested in video/photo or building a FVP ground station. I use these flash adapters to fasten the plywood to the 3-hot shoe adapter, this gave me plenty of options when setting up the ground station. 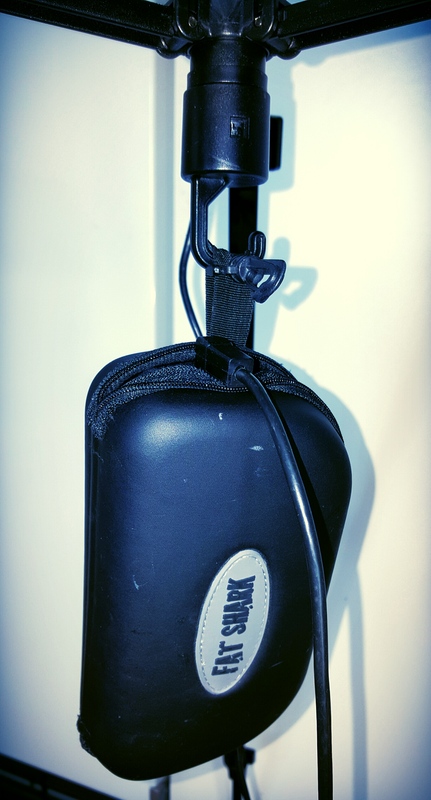 There is even a hook where you can add extra weight for those windy days, i will use it to hang up my Fatshark classic base FPV goggles. 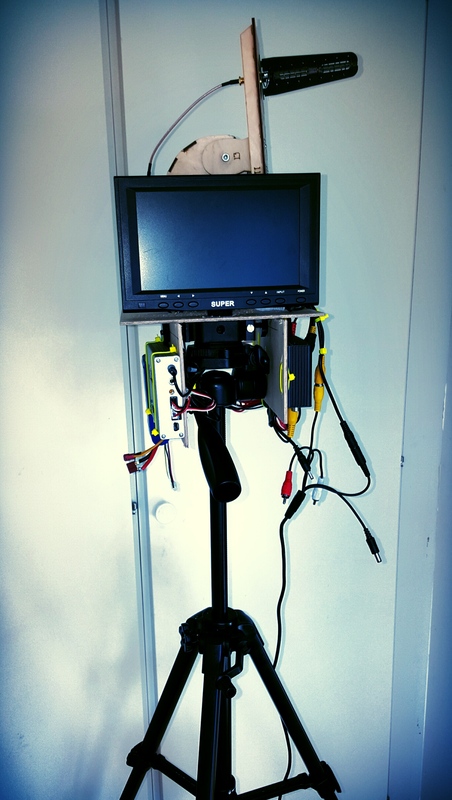 The brains behind the base station is provided by the Range video ground station this includes telemetry from the RVOSD and the antenna tracking functionality. 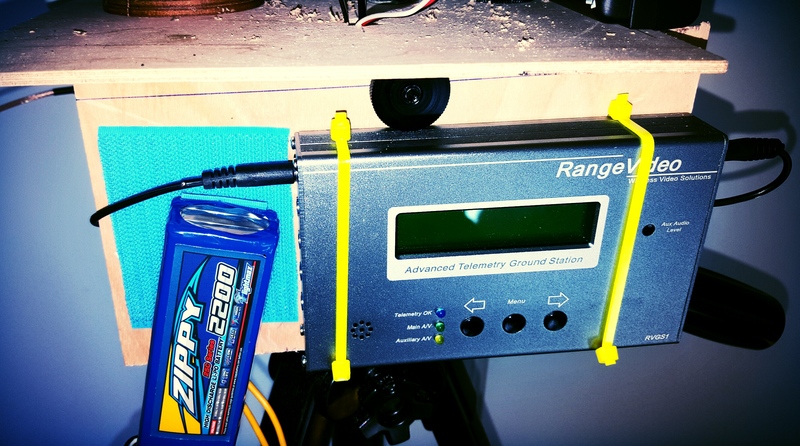 This works flawless and can be recommended to anyone who is into long range FPV. 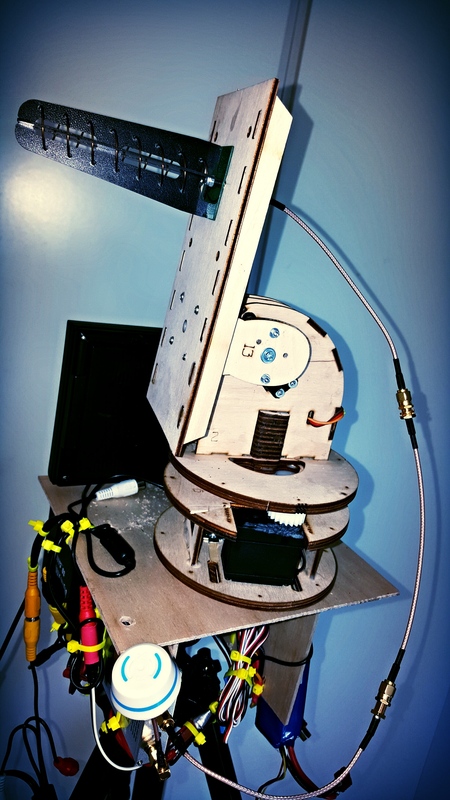 The antenna tracker is based on plywood and i purchased this from ebay, the basic construction is very good however the gears supplied with the kit is not even worth installing. But this was easily solved by procuring some standard nylon heavy duty gears. I use a winch servo for the pan and a metal heavy duty servo for the tilt, this seems to work perfectly with my setup. I am very happy with my FPV ground station, it fulfills all my requirements and i will for sure get lots of fun out of this. It was well worth the effort to set it up like this compared to my dodgy box setup that i had before. There are only two things that i will change on this setup. Firstly remove the extensions between the video RX and helical antenna to secure less loss over the splices and secondly add a small extension for the circularized polarized antenna to get it bit further away from the rest of the electronics. followers! Terrific blog and amazing style and design.